In this tutorial you will learn how to switch on your LED using a button with your Raspberry Pi. Push buttons or switches connect two points in a circuit when you press them. This tutorial turns on one LED when the button pressed once, and off when pressed twice. Υou will also learn how to use 'flag' variable to control an event. In the program below, the first thing you do is to import the library for GPIO and sleep. The next step is to set the pins of LED and Button. After that setup button as an input and LED as an output. The While True loop runs over and over again, forever. Also you can turn on your LED with two ways. The first way is the LED lights up as long as the button is pressed and the second way if you press only one time the button then you see your LED on and if you press the button again then the LED is off. The second way is on comments (''') and we use a variable named flag. 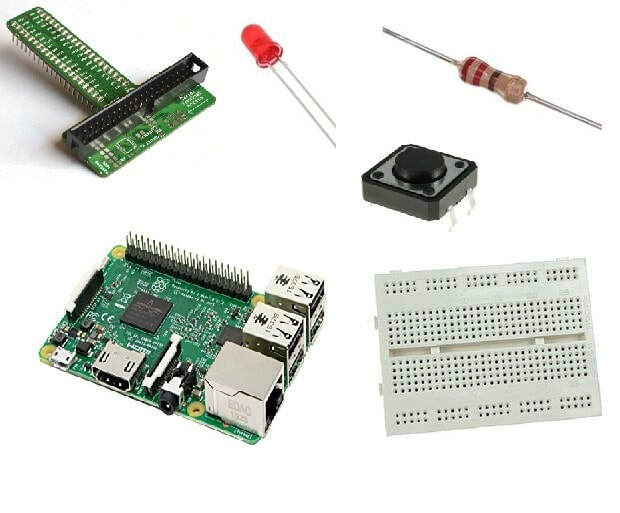 You have successfully completed our first Raspberry Pi "How to" tutorial and you learned how to switch on an LED with a button.